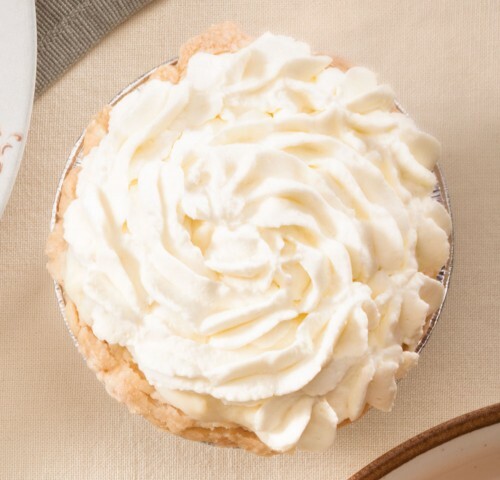 Craving pie? Here are of the best places to buy a slice. Whether you’re after juicy fruit pies, cream pies or mile-high pies, whole or by the slice, here’s where to buy some of the best in the city. At Pies Plus in the Avenida Shopping Centre, it’s been all about the pie for more than 20 years – deep-dish with perfectly flaky, domed pastry lids covering piles of fruit, or single-crust with cream or custard fillings, baked in a 70-year-old pizza oven. You can pick up one of 80 flavours whole, by the slice or even take-and-bake if you want to get the warmth and aroma of baking in your own oven. If you buy a whole pie, there’s a $1.50 deposit for the charming metal pie plate, many of which don’t make it back. Try the RRSP (rhubarb, raspberry, strawberry and peach). At Cadence Coffee in Bowness, there’s the option of a thick slice of made-from-scratch pie with a sublimely buttery crust to go with your coffee. It almost always has apple; other flavours depend on the season and what inspires the resident pie-baker that day. Try the apple. The Pie Store by Sunrise Berry Farms has a main location in Lethbridge, with outlets at the Kingsland and Millarville farmers’ markets; there you’ll find more than a dozen kinds of flaky-crusted seasonal fruit pies, as well as loaded savoury meat pies, baked and ready to buy whole, or by the slice. Try the prairie berry (saskatoons, strawberries, raspberries and gooseberries). Pearson’s Berry Farm is known for its juicy saskatoon pies and thick, heavy butter tarts, made with saskatoons or without. You’ll find them at the Crossroads Market or visit the U-pick farm and Pearson’s Cafe, which now occupies the original log house on the farm in Red Deer River Valley, near Bowden. Try the saskatoon. Bliss & Co. bakes daily fruit pies in apple, strawberry-rhubarb, cherry and mango-peach, but the four-inch cream pies – think banana-chocolate-caramel and coconut cream – are only available Thursdays and Fridays while quantities last, and they don’t last long. (Bliss does nine-inch cream pies, too, but needs 48 hours’ notice.) Try the banana-chocolate-caramel cream pie. Blackfoot Truck Stop is as old school as it gets. It’s known for its mile-high pies, served in true diner-style in the same location for more than half a century, where you can grab a stool at the worn counter and order a cup of coffee and a slice of pie. Think Flapper, coconut or banana cream, and colossally high lemon meringue – all for less than $4 a slice, with the option of whipped cream or a squeeze of soft ice cream on top. You can also take any whole pie home. Try the mile-high lemon meringue.